Commercial 3D printing has not quite taken off at the rate one would have expected a few years ago. One reason for this is speed, with the majority of desktop 3D printers requiring hours to print a part. However, the development of a new desktop FDM 3D printer by a team of engineers at MIT may well have changed the game. While FDM technology is the most popular commercial 3D printing system, it is also is typically slower than other AM technologies. However, the prototype “FastFFF”system developed by the MIT engineers is reported to be 10 times faster than comparable FDM systems. And its volumetric build rate of 127 cm3/hr is reportedly seven times greater than comparable commercial desktop FDM systems. To achieve this feat, three key adjustments were made to the print head. A screw mechanism was added, ensuring that the filament is fed through the extrusion nozzle more rapidly. This is complemented by a laser which melts the material faster before it is fed through the nozzle. Finally, the printer’s gantry ensures that the print head moves more quickly during the printing process. Could this breakthrough ultimately change the way in which FDM technology is used to make prototypes – and potentially end parts? The prospect of being able to print parts in a matter of minutes, instead of hours, is certainly an exciting one. 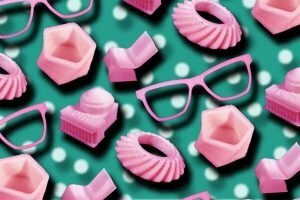 Companies currently using desktop 3D printers for prototyping could significantly benefit from reduced production times, and the technology could potentially be adapted to print high-temperature materials that require high extrusion forces. However, development is still at an early phase, and the team unsure whether the prototype will be released to the market. Furthermore, the printer’s increased printing speed currently means that there is not enough time for each layer to solidify before the next layer is printed – although this is potentially a minor challenge. One thing, however, is clear: for additive manufacturing technologies to successfully compete with traditional manufacturing, it is important that further improvements in speed and production rates are made. If the MIT team is able to further their breakthrough, this could signify a revolutionary change for the AM process.